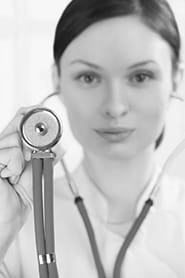 Physician assistants provide healthcare services under the supervision of a physician. Conduct complete physicals, provide treatment, and counsel patients. May, in some cases, prescribe medication. Analyze and interpret diagnostic test results. Answer phones and patients' questions. Make tentative diagnoses and decisions about care and treatment of patients. Obtain, compile and record patient medical data, including health history, progress/development notes and results of physical examination. Administer or order diagnostic tests, such as x-ray, electrocardiogram, or laboratory tests. Prescribe, with physician's approval, therapy or medication. Carry out therapeutic procedures, such as injections, immunisations, suturing and wound care, and infection treatment. Advise patients on prescribed therapeutic regimens, normal growth and development, family planning, everyday emotional problems, and how to maintain health. Assist physicians during surgery or complicated medical procedures, e.g. by holding equipment.